One's got compression tubes and the other got compression socks. Everybody will have his own reason. Whether it has something to do with the material or the design. 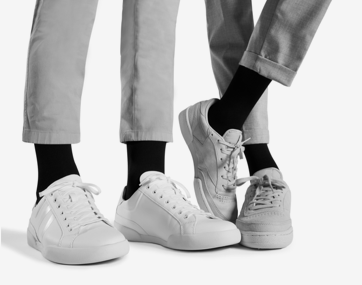 We'll list the big differences for you, so that you can tell which one are suitable for you, so you'll experience energetic legs all day long. During exercising you wear STOX Running Socks. What they do? 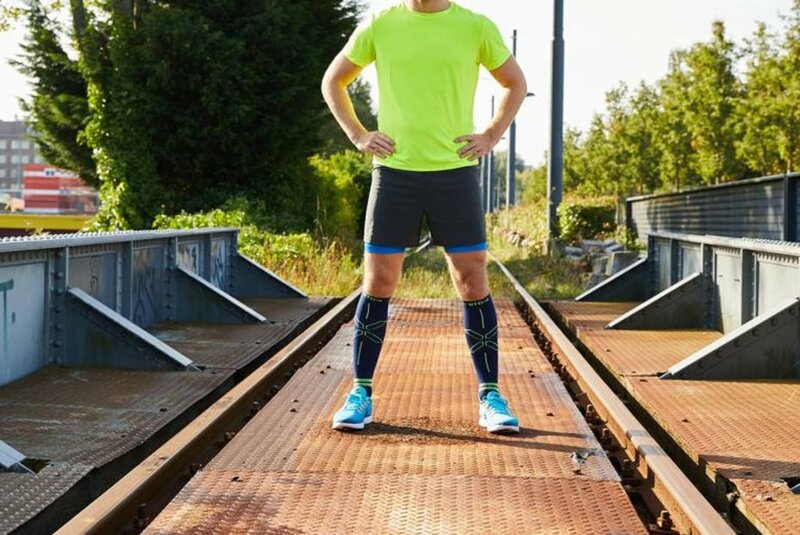 They optimize the blood flow in your legs and provide maximum oxygen-capacity to the muscles.​ The socks are made of the most innovative and high-quality materials such as ‘Moisture Wicking Fabrics’. Moisture Wicking Fabrics are wicking fabrics that are more breathable than natural fabrics like cotton and wool. So, no sweaty feet! Besides good functionality, STOX is also better know for their happy and tough design and super comfortable fit. First of all, compression socks aren't expensive. It's a lot of money, we get that. But if we take a look at the value for money, it's a pretty good investment when you purchase STOX. They reduce the change on injuries, they helpt against injuries (think about shin splints), they maintenance your energy level and of course, they complete your outfit thanks to the cool prints and colors! Tubes are a bit cheaper in purchase, but you still have to buy a pair of socks. A reason to buy tubes is when you attent a triathlon for instance. Here it's often not allowed to wear compression socks, because they can be seen as flippers during the swimming part. But be honest, you don't want to wear socks while swimming when you still have to wear your shoes and cycle a few kilometers afterwards, right? Another reason to buy tubes is because your don't have to wash them as much as socks. At least, some people see this as a reason to buy them. In fact they're all little dirty wetbacks, because you do sweat. Okay, fair enough, tubes are not surrounded by your shoes, but you still sweat out of your pores! If not, we advise you to try harder...So yes, you can wear tubes an extra day.But no, it's not getting any fresher. 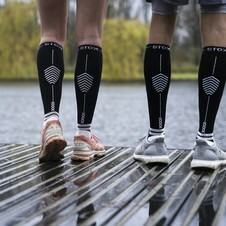 ​STOX Energy Socks has compression socks for both men and women. Both with their own cool design of happy, sporty colors. Below you can see the 'normal' Running Socks. STOX also developed Lightweight edition. 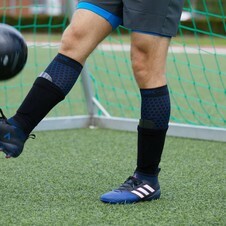 These socks are made from ultra thin Moisture Wicking Fabrics that balance the temperature in high heat situations to keep your feet nice and cool in the lightest way possible. Both edition have a low-profile toe seam reduces irritation caused by rubbing. Here you can find more information about the LightWeight Running socks.